The Daybreak makes a great gift or the perfect traditional decoration for your home. 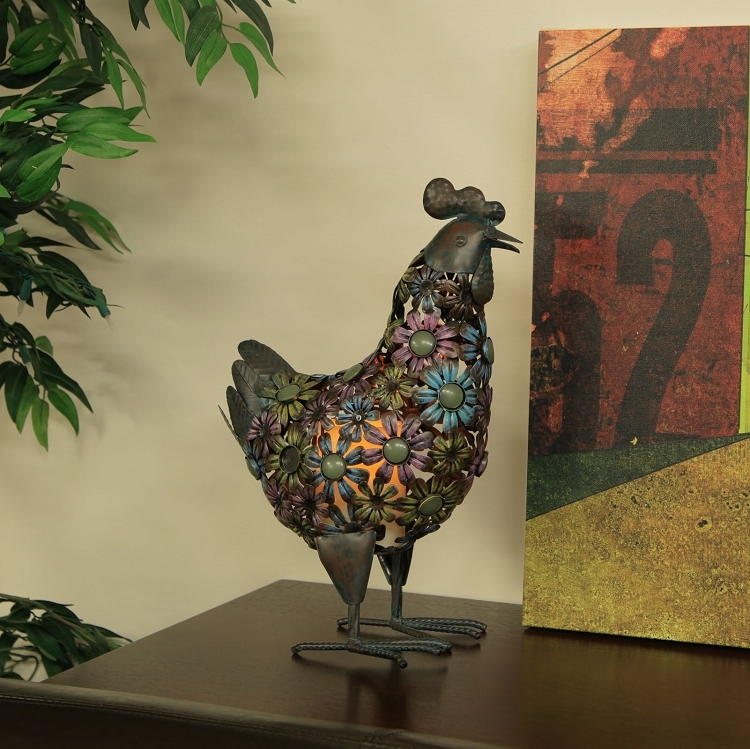 Each artificially weathered rooster has a distressed finish that is beautiful indoors and out. An ideal home accent, the Daybreak's resin candle can also illuminate any outdoor setting. 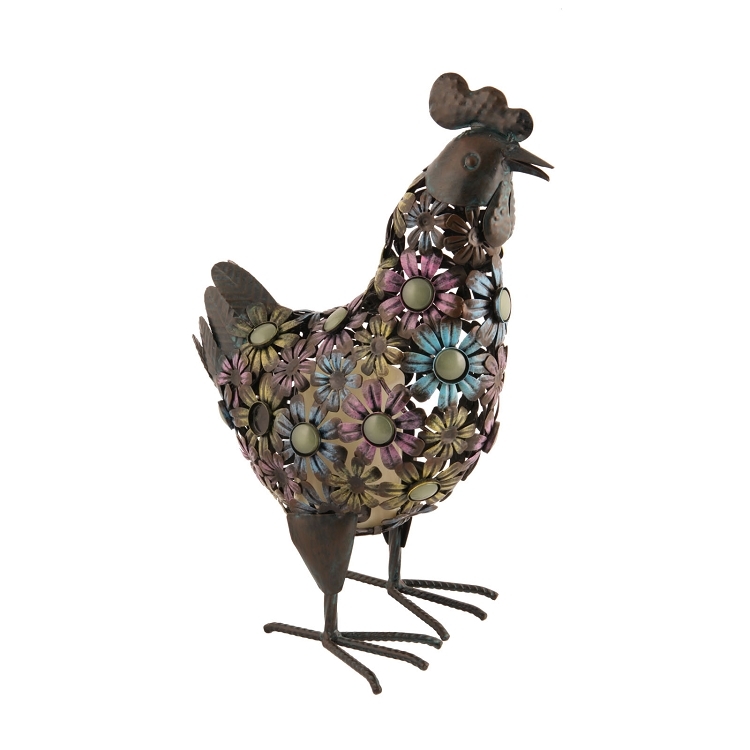 Each rooster measures approximately 10 3/4" x 6 3/8" x 15 1/2" and includes an integrated 3" x 4" ivory resin flameless pillar candle with built in 4 & 8 hour daily timer. Requires 2 "C" batteries (not included).